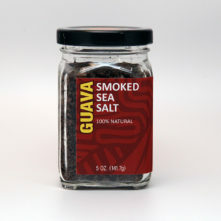 Season salmon filets with Hawaiian Volcano Guava Smoked Sea Salt and a few grinds of pepper. In large saute pan, heat grapeseed oil over high heat until shimmering. Sear salmon for 2-3 minutes on seasoned side only. Add juice to pan. Turn over filets. 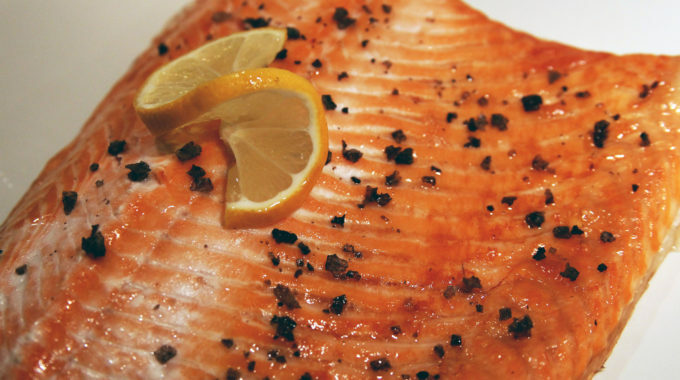 Place pan in oven and cook 8-10 minutes, or just until salmon is crispy on the outside and still moist and tender inside.